Is your Fertility Clinic closing or perhaps you are not happy with your care? There are fertility clinics opening and closing on a fairly regular basis and when this happens you are left with the dilemma of what to do – who will care for you now? Sometimes it’s just that you feel that you need to move on from the clinic you are currently attending and most people do not know that it is easy to transfer their fertility care (and their frozen embryos, eggs or sperm) to another clinic. If you are not happy with your current care or perhaps your clinic is no longer operating, let Fertility Solutions show you how easy it can be to transfer to us. It’s common for people to be worried and uncertain about transferring their frozen embryos, eggs or sperm but there is no need to be concerned, fertility clinics transfer these around the world on a daily basis. This has no effect on the ability of the embryos or sperm to create a pregnancy once thawed successfully. How are the embryos and sperm transferred? Is it safe? Yes it is very safe. Sperm, eggs and embryos are safely transported around the world on a regular basis. Fertility Solutions has had embryos and sperm transferred from the USA, Canada and the UK, just to name a few countries, and they arrive perfectly safely. For local people who have embryos stored on the Sunshine Coast, Caboolture or Brisbane, your embryos will be well cared for as we send our highly experienced scientists to personally collect and transport your precious cargo. For people with embryos/sperm stored outside of these areas we will arrange for them to be transferred by a company who has extensive experience in these matters with our scientists monitoring every aspect of this process. 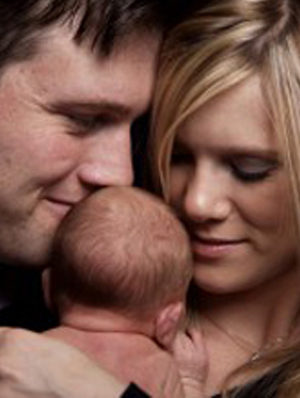 Visit Fertility Solutions for a free consultation to discuss the services that we can offer you. You will need to make an appointment for this visit and to make it a little easier for you we offer after hours appointments as we know it can be difficult to get off work. But hurry as these appointments go fast. If you would like to know more about transferring your care (and embryos, eggs or sperm), just call us on 1300 FERTILITY (337 845) and find out how easy it can be.